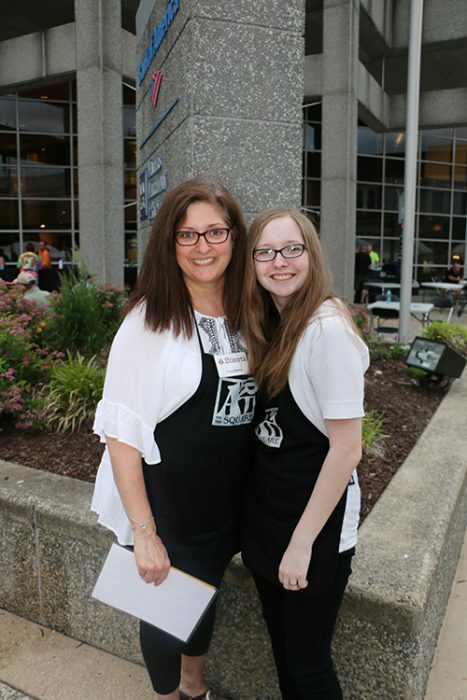 Volunteer at Art on the Square! Go to http://aots.ivolunteer.com. There you will see a link to the signup sheets for each day of the event — Friday, Saturday and Sunday. Choose which day you would like to view by clicking the link. Scroll down to see all available volunteer options and choose the area and time you would like to help out. Click on the “Volunteer” button under the name of the area, beside the shift you would like to volunteer during. Fill out the required information in the small window that will come up on your browser screen. You must provide an email address, your first and last name, your phone number, address, and confirm whether or not you are over 18. There is also an area for you to add questions, comments, concerns and notes regarding your volunteering. ALL volunteers will be sent a confirmation email from the event that will ask you to verify your email address. You must verify your email address by clicking on the link in that email. If you do not verify your email address within 10 minutes, the slot you have signed up for will appear as “open” on the signup sheet and someone else may take your spot. The link you click on in the verification email will send you to your “My Commitments” page where you can view and manage all slots you have signed up for. This is where you can edit any information you’ve given, or view the contact and other information about your slot. Attempting to change the information from the signup sheet will not work and will result in multiple signups by the same person.